We offer a fully comprehensive and accredited Hypnotherapy Practitioner Training Course to ensure that you get the right information to start your career as a hypnotherapist. Your trainer, Brian Jacobs, is an experienced hypnotherapist and trainer. We are a specialist hypnotherapy training school. The class will be balanced with instruction, demonstration and practice. You will be able to gain confidence by practising the techniques taught, so that on completing the course you should be competent to work with real clients. Unlike many other courses, which are highly theoretical, we want you to become a successful practising hypnotherapist. 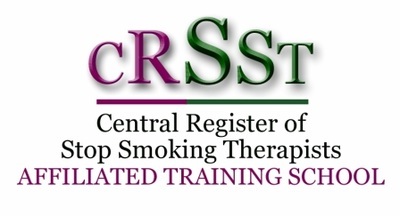 Your trainer is a specialist in smoking cessation. As part of the course you will learn how to conduct a one-session stop smoking programme. You will be taught a variety of hypnotic inductions and deepeners and will practise these in class. You will learn how to treat phobias in just one session; how to conduct weight loss sessions; how to do self-hypnosis and lots more. We will teach you how to do age regression to help resolve clients' underlying problems. Although this is not an NLP training course, we will teach you practical and effective NLP techniques. We will teach you how to conduct a session from start to finish. ​Who Should Train With Us? You need to be at least 18 years of age. However there is no maximum age at which someone can learn hypnotherapy! You should be able to converse in English. Everyone interested in learning hypnosis and self-hypnosis for self-improvement and to help others. No previous experience of hypnotherapy is required as this course covers the basics as well as advanced techniques. The core of this certified course is the 300 page National Guild of Hypnotists’ training manual. The course will be held in London. It consists of 16 days classroom training plus home study and assignments. Each training day runs from 9am to about 5.30pm with breaks for coffee/tea and lunch. Hypnotherapy is both a theoretical and practical based study. We believe that it is very important for a student to not only know the information taught, but also to be able to use this information in a practical way. To this end, a large proportion of the course is dedicated to demonstrations and practice sessions. The Practitioner Diploma Course offered has been externally assessed and validated at Practitioner Level by the General Hypnotherapy Standards Council (UK) and provides the basis for their externally awarded General Qualification in Hypnotherapy Practice (GQHP). It also fully meets the standards of the National Guild of Hypnotists. 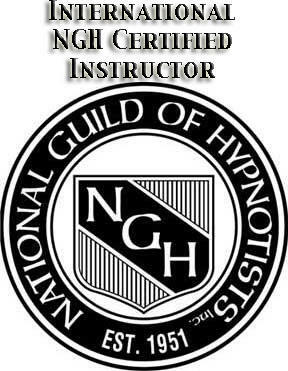 On satisfactorily completing the course you will become a member of the National Guild of Hypnotists and will be eligible to join the General Hypnotherapy Register, the UK’s largest hypnotherapy organisation. We will provide you with the following to ensure you have all the tools you need to complete the course. and you will be eligible to use the letters DipHyp or C.H (Certified Hypnotherapist) after your name.